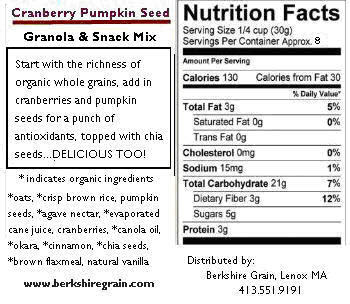 Made with 100% organic whole grains, plus organic flax meal, organic chia seeds, cranberries, and pumpkin seeds. This hearty mix is a great way to charge yourself in the morning and a perfect snack 'n go treat. 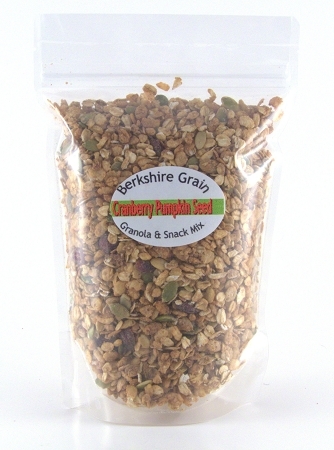 Looking for a perfect 100 calorie snack our granola can't be beat. Like all our granolas they are not only terrific in a bowl with milk or yogurt and fresh fruits and berries. Our granolas are ideal to cook and bake with.